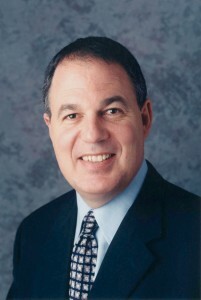 Larry Lewin, former president of Hyatt Gaming Management, was appointed president of the Fallsview Casino in July 2004. One of Canada’s prime vacation spots is finding new life with the addition of the $767 million Niagara Fallsview Casino Resort. Located just footsteps from the famous Niagara Falls, the facility boasts a luxury 368-room hotel and a 200,000-square-foot casino that has brought 24-hour entertainment to one of the region’s most picturesque spots. Located just a mile across the U.S. border, the site has traditionally hosted only day-trippers from both sides of the border. However, last year’s opening of the massive entertainment complex has started to draw visitors from deeper within America as well as those flying in to some of the area’s numerous airports. Although there’s not an airport that comes directly into the city, many visitors don’t realize there’s a major airport close by—Hamilton International in Toronto—and two regional airports on the U.S. side—Buffalo Niagara International Airport and Niagara Falls International Airport in New York. Larry Lewin, the operation’s president, has more than 20 years of experience in the gaming industry, with roles at Hyatt Gaming and in casino marketing for the Riviera Hotel in Las Vegas. He believes in the massive potential of the entertainment complex. What a destination it is, too. Overlooking both the magnificent Horseshoe and American Falls, the resort opened for business on June 10, 2004. All rooms offer views of the Falls from the 31-story hotel. Outside of the entertainment venues, restaurants, and gaming options, some of the amenities include a 15,000-square-foot full-service spa, a boutique shopping galleria, and 50,000 square feet of meeting and convention space. The entertainment matches any show schedule in Las Vegas. Even as Lewin talked up the casino’s upcoming entertainment, he was preparing to take Tony Bennett down to dinner. The 30 to 65 age group is the age bracket with the most disposable income and one that is very casino-friendly. However, while the resort books entertainers like upcoming performers Kenny Rogers and Smokey Robinson into the Avalon Ballroom (a 1,500-seat performing arts center) to attract baby boomers, Lewin is also packing the schedule with younger stars as well. Lewin did a Soul Jam in February with the Temptations and will be bringing in more diverse groups like Macy Gray and the Gipsy Kings later this summer. He hopes that the change, combined with new attractions like the Dragonfly nightclub opening in December, will bring in a new audience. Another part of the resort experience is the facility’s 10 first-class restaurants. They include 17 Noir, serving high-end classic cuisine in a roulette-themed setting, a 750-seat grand buffet with views of the Horseshoe Falls, and Italian, Asian and regional themed restaurants. In August, the resort will be listed in Wine Spectator magazine, winning an award for its diverse wine list. The grandiose Fallsview Casino has attracted everybody from the Hilton company to Tony Bennett in building the region’s first great resort complex. Finally, Fallsview does have the casino heart of its Las Vegas cousins. From a casino operations standpoint, the gaming here is as large as the MGM Grand in Las Vegas. The complex is home to more than 200,000 square feet of gaming space including 3,000 slot machines and 150 gaming tables. The casino operation recently upped the ante by introducing an all-new poker room with eight tables with space for up to 80 players. Fallsview isn’t the first casino in the region. It follows on the success of Casino Niagara, which opened in 1996. However, Fallsview was created specifically at the instruction of the government of Ontario as an economic engine for the region. Falls Management Company, owned by several large investors including the Hyatt Group, was responsible for the financing, design and construction of the resort and has been contracted by the Ontario Lottery and Gaming Corporation to operate it. Far from being the self-contained experience of the Las Vegas strip, the Niagara Falls region has many attractions all working together to draw visitors. The impact of the relationship between the casino, tourism trade and the local economy has been enormous. The area has taken some heavy hits over the past few years from what some call the “perfect storm” of events, including the devaluation of the American dollar, the SARS scare and the economic realities of the post 9/11 world. However, the opening of Fallsview has done much to help. The resort created 2,500 new jobs directly and estimates of spin-off employment run about 12,000 jobs. The Niagara region receives 50 percent of all travelers entering the province and accounts for 40 percent of the Ontario tourism industry. Tourism spending has doubled since 1996 and visitor numbers are expected to hit the 20 million mark in the next couple of years. 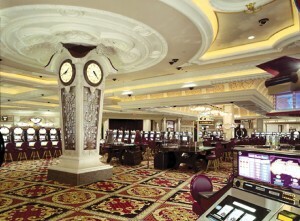 Each area of the Fallsview casino floor has its own ambience and style. Ferraiuolo also recognizes the dynamic synergy between Fallsview and the other attractions in the area. 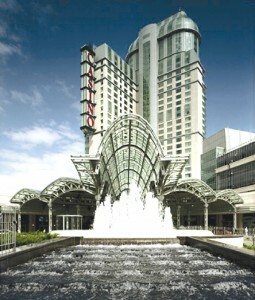 Lewin credits the staff at Fallsview with much of the resort facility’s success and reputation. The operation has also been very responsible in listening to its customers, bringing in poker and wedding services at the request of its visitors. 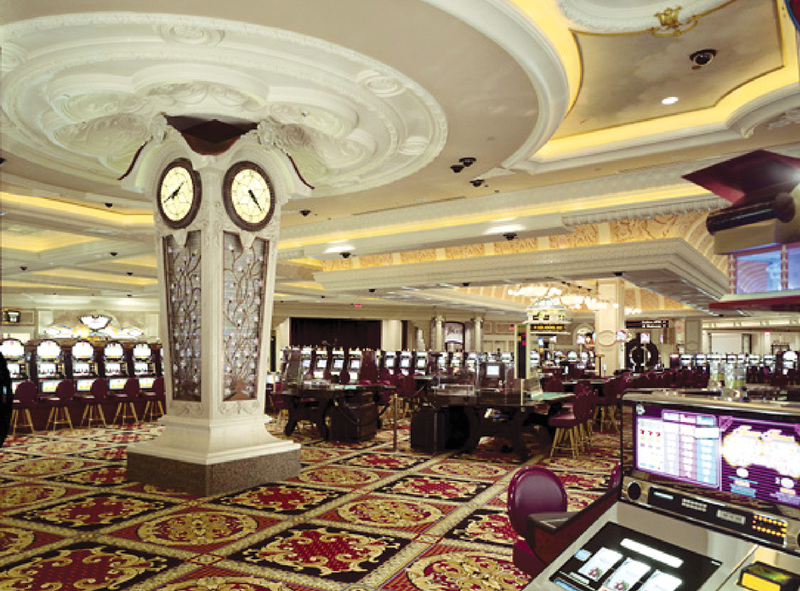 Lewin’s staff has made more than 500 changes to the casino floor since they opened. Business is booming at the resort as well. Lewin has seen a 25 percent increase in business since the year before. For information about the Niagara Fallsview Casino Resort and other attractions, visit [http://www.discoverniagara.com/fallsviewcasino].